Santa Ana, CA – April 13, 2018 – Red Mountain Group, Inc. is pleased to announce the disposition of three single-tenant properties in three different states. In Rialto, California, a 14,997 SF former Fresh & Easy grocery store situated within the Shops at Creekside on the north-east corner of the 210 Highway and Riverside Avenue that was transformed into a DaVita Kidney Care location was sold on April 12, 2018 to an undisclosed buyer. Walgreens, Corky’s Kitchen Restaurant and Fitness 19 are also located within the shopping center. On April 13, 2018, Red Mountain Group arranged the sale of a 4 Wheel Parts located at 6270 W Bell Road in Glendale, Arizona. The 12,047 SF free standing building was a former Maytag store and was acquired by Red Mountain Group in May of 2017. 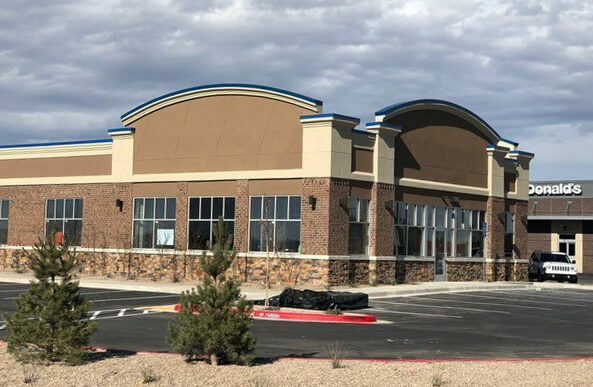 In Roswell, New Mexico, Red Mountain Group arranged for the sale of a newly constructed Aspen Dental located at 3900 N. Main Street on April 21, 2018. The 43,560 SF pad located on the northern end of Roswell next to McDonald’s in front of Sam’s Club was acquired by Red Mountain Group in September of 2017 and transformed into a new Aspen Dental location.